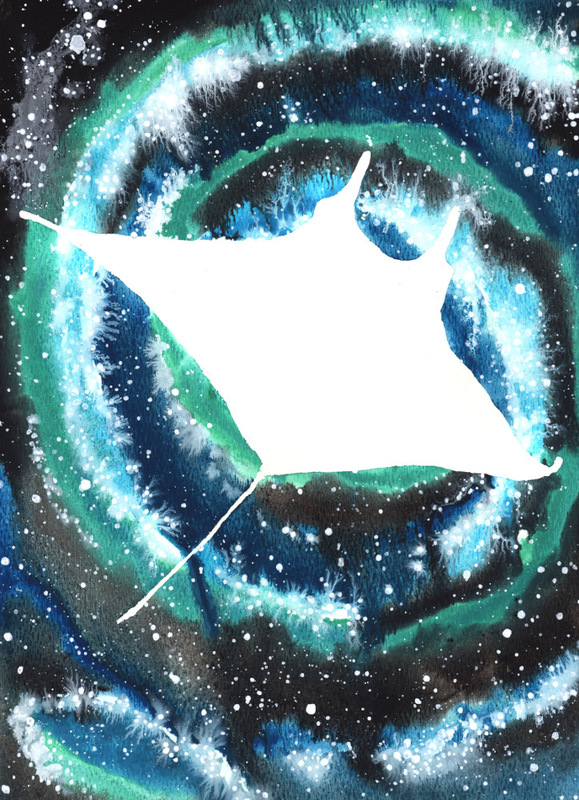 Manta Ray symbolizes grace, flow, and calibration. Manta Rays are sensitive to the flow of energy and can help you be more efficient at tapping into this flow and dancing with it. They can show you how to notice the nuances of energetic currents and adjust accordingly so you don’t waste your energy. Manta Rays are ‘birds’ of the sea as they gracefully glide through the water near the surface as well as skirt right over the sandy bottom. 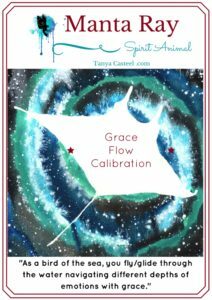 They teach you to navigate the different depths of your emotional waters with grace. They are also excellent at directing abundance to themselves as they swim with their mouths wide open, reminding you to go out into the world with your heart wide open. Manta Rays are susceptible to external parasites so they often visit cleaning stations where other fish clear them of debris. Make sure you surround yourself with healthy, positive friends often to help protect and encourage you. It’s a time to have fun, refresh and shake off any negative energy that has been accumulating on you. Manta Rays mate during the full moon. Give it a try! You could be extra sensitive to the power of love during the full moon. Manta Rays have an impressive heat exchange system within their veins that allows them to keep their temperature more stable than most fish while diving deep. This indicates that you have the ability to dive deeper into your emotions while still remaining present and aware. Keep practicing each time you dive deeper. 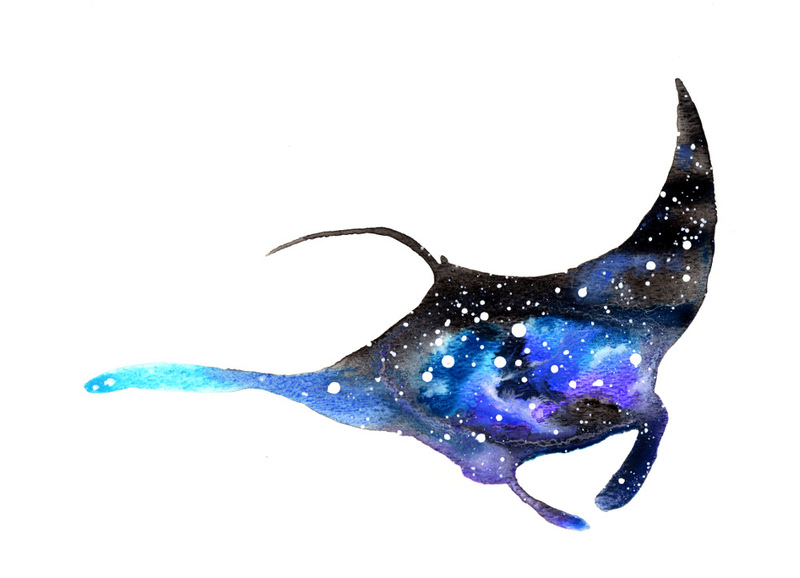 Get cosmic animal guide cards in the mail each month plus access to exclusive videos. Reconnect with the wild world through the Wild Messengers Alchemic Tarot card deck featuring my animal watercolor paintings. Discover what messages animals have for you. Through my visual meditation style, I can take you on a journey full of wonder and intuitive guidance. I want to hear about your Manta Ray experiences. What stories or dreams have you had? Please share and join in the conversation below!